You don’t need to go far anymore to get your dream vehicle. It’s right here in Cochrane! Cochrane Nissan is bringing all the most sought-after Nissan vehicles to our town. We’re proud to carry brand-new models such as the Nissan Titan, the Nissan Rogue, the Nissan Murano, and the Nissan Qashqai. If you’re looking for economical and well-engineered vehicles, look no further than the vehicles at our Nissan car dealership. At Cochrane Nissan, our vehicles are equipped with all the modern technology you could need. In addition to that, they are reliable, safe to drive, fuel-efficient, and affordable. To learn more, visit Cochrane Nissan today! 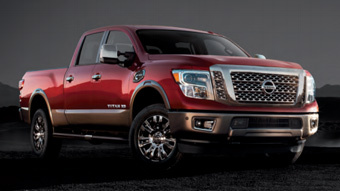 SHOP THE LARGEST TITAN INVENTORY IN SOUTHERN ALBERTA! At Cochrane Nissan, we believe in providing exceptional vehicle service, every time. We’re committed and determined to give our customers the best Nissan automotive services in town. Our trained technicians can handle it all, from oil changes for all makes and models to various repair and maintenance services. Our main objective at Cochrane Nissan is to always make our customers leave happy and satisfied with the quality of our services. We can assure you that our service is so good, you’ll tell your friends about it. Reward yourself with a driving experience you won’t forget at Cochrane Nissan. 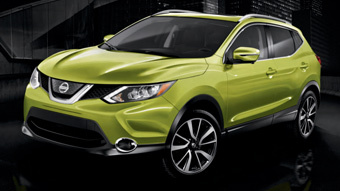 Get behind the wheel of one of our many new Nissan models such as the Rogue, Qashqai, Murano, Sentra, Altima, and Titan. Schedule your test drive today using our easy online form. We look forward to seeing you! When was the last time you had a dealership experience you were excited to talk about? At Cochrane Nissan, that’s business as usual. We’re proud to offer service so good, you’ll tell your friends. You won’t find a better car dealership in Cochrane than Cochrane Nissan! It all starts in our inventory, where you’ll find a comprehensive lineup of new and used Nissan vehicles, including an exciting selection of Rogue, Murano, Titan, Pathfinder, and Qashqai models. Looking for a Nissan that’s as unique as you are? Use our digital customization boards and tablet to create your dream ride here. Our selection may be world-class, but what really sets Cochrane Nissan apart is our people. We offer a friendly, no-pressure approach to buying a Nissan, whether you’re browsing our massive 4-acre lot, exploring financing options with our specialists, or visiting our quick service bay for an oil change. To us, you’re more than the next customer in line or the next appointment in the system. And that means you can count on receiving the kind of exceptional service at our car dealership that you’ll be happy to tell your friends and family about. Visit us today, and discover just how much fun getting into the driver’s seat can be.